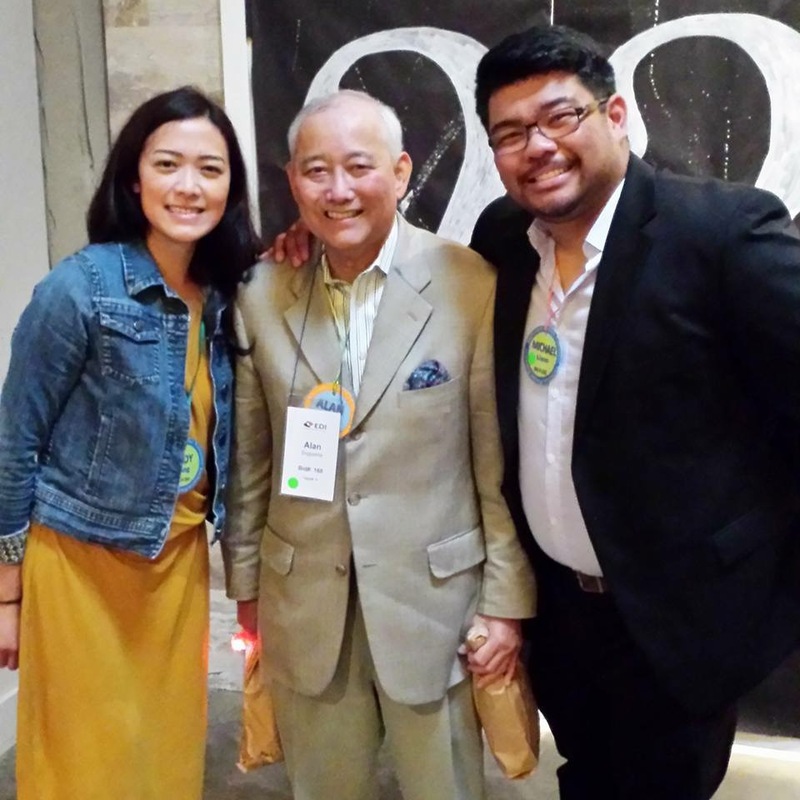 A lifelong local community activist, a friend, and above all, an extraordinary leader, Alan 'Al' Sugiyama served as EDI's Executive Director from 2013 - 2015. On January 2, 2017, Al passed away after a long battle with cancer. Above: Marci and Al pose for a photo on his last day as EDI Executive Director. What I loved about Al was his willingness to try anything. We were always brainstorming ideas of how to make our program more fun and we came up with some really good stuff. During our branding and networking session, we did a short training about dining etiquette. We wanted to shake things up a bit so I told Al we should do a skit. He said let's do it! We came up with some scenarios to act out and brought our skit to life in front of the class. We had so much fun doing it and felt good about what we did. But the next day we read the session evaluations and discovered that we were the only ones that thought it was good. In fact, the etiquette portion got the lowest evaluation score EVER, really – the lowest in EDI history. We had three classes for this session, so you would think seeing this result we’d give up and do something different. But no, we were both pretty stubborn people and knew we could make this work so we stuck with it, more determined than ever to prove that we were right. We gave ourselves a good pep talk and did our skit again (of course, slightly modified based on the feedback) for the next class. Our acting skills got better and the participants seemed to be engaged and enjoyed it. We became excited because the scores went up a little bit, but truthfully they were still pretty low compared to everything else. We had one more class to try in Portland. I lucked out because it was only Al who traveled to Portland, so I didn’t have to do the skit again! He acted with one of our program chairs instead of me. Secretly, I knew he was thinking I was bringing down the evaluation scores, not him, and Portland was his chance to prove it. It’s OK because I thought the same thing. For those of you that know both of us, he definitely can play things up and act things out better than me. He came back from Portland looking very defeated and said, "I think it’s me because the scores were still really low!" Although our egos were a little bruised, it was something that we could look back on and laugh about. Needless to say, Al and I no longer did any skits together. We have no regrets because at least we tried and even knowing what we do now, we’d probably still do it all over again. We feel proud to hold the record for the lowest evaluation scores. For the sake of EDI, we hope to hold that record forever. This is just one of many stories that I have about Al. He was a boss, mentor, friend, an amazing human being, my champion and someone who believed in me more than I believed in myself. In the two years he was going through treatments, we would still talk or meet up a few times a month to strategize about EDI. I relied on his experience, advice, guidance and support. I miss just having him a phone call away. Thank you, Al for believing in me, giving me confidence, and for teaching and showing me what leadership and community is all about. My life and professional journey are more complete because of you. I will do my best to live up to all the aspirations you had for me and for EDI. Above: NAAAP-Seattle had a booth at EDI's Leadership Together Conference held at ACRS in 2013. I was volunteering as the Marketing Director on the Board of NAAAP-Seattle in 2013. Julie Pham, NAAAP-Seattle Board at Large and EDI alum, contacted me to attend one of her infamous networking dinners. She was bringing together two non-profits, NAAAP-Seattle and EDI. Al Sugiyama and Vanna Novak came to represent EDI at the dinner. Al went around the table introducing himself to the five NAAAP-Seattle board members in attendance and giving a handshake out to everyone. He told us the importance of acknowledging each person that you come into contact to. We told stories around the table over delicious home-cooked Vietnamese cuisine. Near the end of the meal, there were three of us who were panting from how spicy the food was and downing as much water as we could get our hands on. Those three happened to be the only three Japanese Americans sitting at the table: Al, Vanna, and me. We joked about our lack of ability to eat spicy food and attributed it to the lack of spicy Japanese food. Little did I know that this encounter would only be the beginning of my interaction with EDI and Al. In 2015, I was looking for a new position outside of Microsoft, and Hang Chen, NAAAP-Seattle National Liaison and EDI alum, knew I was looking to find a more event-centric role and sent me the job posting that was in the EDI newsletter. After sending in my application and upon hearing about my interest in the role, Al offered to connect and give me some interview tips before I went to interview in the office where I would meet Marci and Vivian. Of course, I took him up on the offer and felt prepared for my upcoming interview. The interview was a blur and I can't remember much from it. However, at the end as I was leaving the office, I casually brought up the meal I had two years prior with Al and Vanna. "YES!" I exclaimed, and we laughed. Apparently, Al came into the office the next day and was telling everyone how good the food was but "man was that spicy!" Later, I discovered that Al was a distant relative of mine. Honestly, it started as a joke. Al knew I was from Salt Lake City, Utah and mentioned his brother was born in Utah. Since Utah is so small in comparison to Seattle, I tend to tease I'm related to half of the Japanese Americans and the other half I went to church with or danced in the local Obon Festival with them. Upon hearing me say, “We’re probably related then,” and laughing, Al was determined to find out if we were. I told him that I didn’t know anyone with the Sugiyama last name in Salt Lake. He asked me if I knew anyone with the last name Miyagishima, his mom’s maiden name. Again, I told him that unfortunately, I did not. He then mentioned that many of the Miyagishimas shorten their name to Miya. *BING BING BING* I am in fact, distantly related to some Miyas in Utah. I explained to him that my first cousin’s (their father is my mother’s brother) first cousins on their mom’s side are Miyas – confusing I know. Al gave me his family tree book that his extended family created. It had extensive details of when their family first arrived in the United States and pictures of everyone in the Miya family line. He handed it off to me to see if we were in fact related. Sure enough, after flipping through the pages of the book there they were….my cousin’s cousins. After I told Al of the confirmed connection, he began introducing me to everyone as his cousin. He then began finding other cousins to introduce me to so we could see if there was more of a connection. After the 2015 Portland class graduation, Al set up a meeting with his second cousin and great-uncle who live in Oregon so I could meet them. They had lived in Utah and he thought maybe we would discuss family members or find other connections. Again, Al was right. We found out that in the small city of Ogden, Utah is where his great uncle used to live. This was also where my Grandfather was born and raised. This uncle of his used to get his hair cut by a barbershop owned by the Aoyama family, my family. The barbershop was my great grandfather’s and my grandpa and his siblings all lived in the house in the back of the shop. Now this was getting interesting. I started asking more questions about their life in Utah. We found out that his cousin worked at a restaurant called Pagoda in downtown Salt Lake City. Amazed, I asked his cousin if he knew a Yoshiko Miyake. He said, of course, he knew Yoshi, they worked together for many years. I told him that Yoshi was my grandpa's sister. Al was in complete shock over finding out how many interactions our family’s had. I think one of my biggest takeaways that I have from my interaction with Al (particularly from our distant familial relations matter) is that persistence is key. Through building my relationship with Al over the years and learning more about him and his family, we found that we are family. That’s a big thing that we need to recognize in life. At the end of the day, we are all human, we could even be family. Treat each person and every encounter that you have with respect, importance, and kindness. Above: Vivian, Al, and Linda pose for a photo at Al's appreciation event. I’m not ashamed to say EDI has been my first job because I can say I’ve also had the greatest first boss (no offense, Marci – you’re a very close second!). Since meeting Al, I’ve been very lucky. I still remember the day leading up to my interview at EDI. I was having my quarterly meeting with my UW adviser, Linda, who, upon seeing me, told me that she just received an email from Al for an open position at EDI. She asked me if I ever heard of Al, which I hadn’t. In response, she said, “Al is someone you should know – he knows everyone.” Encouraging me to apply, Linda replied to his email. Within several minutes, he responded and told Linda that I should send in my resume and come for an interview the next day. I was nervous. My resume was outdated and I scrambled to write a cover letter to send in that same day. I never held a job before, but had years of volunteer experience with local non-profits – what were the chances I would be hired? But what also ran through my mind was, “What kind of person offers an interview the next day? !” It happened so suddenly, I wondered what I was getting myself into when I agreed to Al’s offer. The day of the interview, I was joined by both Al and Marci. Part of my role as EDI’s Marketing and Communication Coordinator is creating monthly newsletters, so Al asked me to give constructive feedback on an old EDI newsletter while they both stepped out to talk. According to Marci (who later told me), during the interview Al gave her a pointed look, confirming his already-made decision with her. The ‘stepping out to talk’ was just a formality, probably designed to make me feel more nervous than I already was! When they came back, Al spent a few minutes listening to my comments, before hiring me on the spot! I honestly think my parents were more shocked than me when they heard about it. They wondered what Al saw in me. But after getting to know Al these past few years, I’ve learned that he’s a go-getter, trust-your-gut, see-the-potential-in-everyone kind of guy. He’s always right about everything. The following Monday, my first day, Al took all the staff out for lunch to welcome me into their ranks. We ate at Pho Ever, one of Al’s favorite restaurants by the EDI office. It was the first lunch of many that I had with him. He always loved eating. Once, I had a one-on-one meeting with Al at McDonald’s where he bought me a full meal with clipped coupons! Our last meal together was at the Mandarin Buffet & Grill in October, and I remember he was so excited to take us to his absolute favorite place where he frequented almost every week. That’s just how Al was. He liked bringing people together and treating them to a hearty meal. We miss him every day. The way he would come into the office, announcing his arrival, “Al’s in the house!” His upbeat attitude, his jokes, his trademark phrases like “See you later, alligator” will always be imprinted in our minds. Recently in the office, we’ve begun to ask ourselves, “What would Al do?” And we know wherever he is, he’s watching over us. Thank you, Al, for believing and taking a chance on me. It's also because of you, I've come to know many people and have been part of the EDI family and community. I know wherever you are, you won't be far. See you later, alligator. Left to Right: Char Grinolds, Colleen Yamaguchi, Cesar Amaral, Al Sugiyama, Quang Lam, and Marci Nakano at OCA dinner where Al was honored with a lifetime achievement award. Really, my favorite memory regarding Al comes before I ever met Al. One of the friends I'd made from the inaugural 1994 EDI class was Guy Kurose. Guy worked at the Center for Career Alternatives, which Al founded, and was sponsored by Al to go through EDI. Through Guy, I heard many powerful stories of Al's influence, advocacy and social justice activism. Al had a profound influence on Guy, and much of the great work that Guy did, he attributed to Al. When I finally met Al, his passion, determination, optimism, vision and energy all dedicated to helping people, especially underdogs, overcome obstacles and achieve success, was immediately obvious. It's not surprising that he had an extraordinary, long-lasting impact on so many people. I'll always remember and be inspired by, Al's big grin, and strong grip and pat on the back that he always gave to every person in the room, making every person feel seen, welcome and valued. That's just one of the many ways that Al touched countless lives. He did so much more, as a pioneer and a champion. And he was a master at building relationships. I love how he made people feel. Above: In 2013, EDI hosted a Leadership Together Conference at ACRS, inviting other organizations like NAAAP-Seattle. The 'brothers' Chan and Al pose for a photo at the event. When Marci called and told me that Alan passed away, it made me feel dizzy. I worked with Alan from 2013-2014 at EDI. He was my boss, but we were also close friends and I think we look like brothers. Alan passed away, but his voice, smiles, and the way he greeted people will remain with us forever. My wife and I wish Alan’s soul will be safe and go to heaven. Al was an energetic, positive person, who gave! He was always more interested in each of us as a person and not for what we could or couldn’t do for him. Although his time with EDI was short he has left a lasting imprint on our organization! Thanks Al you will always be a part of everyone you have touched and we know you will be watching over us. Sincere condolences to his family. (This is what I remember about Al and Ted) I will never forget when Al applied to the EDI CEO position. Ted could not be more thrilled and excited to have someone in his caliber to run EDI. Not only was Al a respected visionary in the community but personable and effective in motivating people around him. It was definitely a celebratory moment for Ted when he became CEO of EDI. My condolences to the Sugiyama's. Al was a true inspiration. I had the privilege of working with Al and the Board on EDI’s strategic plan back in 2013. It seemed like the universe threw us together at just the right time. I was looking for a nonprofit client to support as part of my graduate thesis on leadership/organizational development. Al was new to EDI and looking for consulting help. On our first phone call, Al said “I was just starting to wonder how I was going to get this strategic plan done, and then you just showed up. How amazing!” This was Al to a tee – he consistently made me feel valued, appreciated and heard. He cared about people and never failed to say “thank you.” I remember being struck by how forward-thinking he was. Al was not afraid to dream big and set big, hairy, audacious goals. He wasn’t one to get lost in the details, but rather to galvanize the support of others in a way that won hearts and minds. The Strategic Plan that we together co-created with the Board reflects some of Al’s fearless optimism for the role EDI could play in advancing communities of color and making a positive impact in the world. I will miss his graciousness, his willingness to challenge the status quo, and most of all his smile. I am so very sad to read this news. I know that Al fought valiantly and will be missed by thousands upon thousands of people who met him over his years. Rest peacefully, dear Al. When I met Al we had an immediate connection. Having the common denominator of being from Japanese American heritage we connected within two minutes. The best adjectives to describe him is that he was a man of vision and humility. He had a heart for growing up Asians to become true leaders. It is very sad, but I choose to remember Al the way he was, always optimistic, a visionary leader and a gentleman. May he rest in peace. Such a loss for EDI and our community. What a great spirit he had and he was such a leader. Al, your time was well spent and your spirit lives on in the lives that you touched through your leadership, mentorship and friendship. There are few who dare to live a great life in service to others, but you showed us how. In passing we must let you go, but in spirit you live on in each of us. Nothing ever disappears as all transforms into a new form of energy. Rest in peace my friend and we will meet again as energy. You will be missed, Al. Our community was blessed because of you. Please keep looking over us. Be in peace. Al brought with him a force of energy, optimism, and a “never take no for an answer” attitude that inspired everyone around him. He was tenacious and relentless in his efforts to create positive change. EDI was blessed to have him for the two short years that he served as our Executive Director. His impact with our program and participants will be felt for a long time. I was tickled pink when Al became our Executive Director. He was a very seasoned, talented and highly respected ED with strong community ties. He embraced EDI's mission, and immediately and authentically, exuded his passion for the organization. He was a mentor to the EDI participants and an inspiration to us all. I am honored and humbled to have crossed paths with him. I got to observe his big personality, charisma and likeability. He was an active participant in his treatment options and his optimism and desire to fight the diseases were so strong that it made others want to do more to help him. I’ll always remember Al as a man of optimism and courage. It was surprising hard for me to find photos with Al despite me being a person who shoots a LOT of photos. I think that says a lot of how Al works, he could be behind the scenes making it all happen and just as comfortable being on the mic and leading people through a story. I first met Al when he became executive director for EDI. The first thing you remember about Al is his endless energy, his smiling face and his shining cheeks. Al always had the immense skill for networking and I remember one event where he was able to get the Japan Consulate to come observe an EDI event. One of my favorite moments was when Al called me to help with the EDI Discovery class. He was fast to listen to feedback that the previous year's program didn't end on a high note, that it just ended instead of having an exciting ended that he wanted. He asked me to bring in a different program for these groups to end on an energetic and high note. I was honored that he thought of me to help these teams. I still remember his smiling face in the first year to see his idea come to fruition in the classes face as well as the after-course reviews to get the effect he was looking for. I loved Al's spirit of people helping people, getting excited when students became teachers, and always networking two or more people together. I was always impressed when despite his cancer treatment, that his energy was up and already ready for a big event. He always was able to find the time and energy to be there to support the causes he believed in. I think he became even more powerful through his treatment as many of us learned how strong he really is. Thank you Al for showing us all a model of successful, extroverted and amazing leadership. I miss you and work to help a piece of legacy live on every day. I am deeply grateful to have worked with Al. I knew of him from my years in Seattle, but it was not until I moved back to Portland that we met in person to discuss EDI’s Portland program. He invited me to join the faculty and present on branding and networking. Throughout the preparation for marketing sessions in Seattle and Portland, Al worked with us facilitators side by side, conscious of the programs’ quality and committed to the positive outcomes participants would receive. He was a dedicated visionary and superb community activist. We are all the better for having had you in our lives, Al. I am grateful for your work and promise to keep your spirit and legacy alive in mine. Al was definitely one of the most optimistic, cheerful and upbeat people I had the pleasure of getting to know in the non-profit world. For years, I helped Al at his annual CCA dinner at the downtown Sheraton Hotel. Then, I was delighted when he was hired to lead EDI (Executive Development Institute), another one of my favorite groups that I have worked with for years. I NEVER saw him without a smile on his face. And he's one of the only people who could enter a room, or meeting and loudly proclaim, "Al's in the house!" without coming across as arrogant. He made a HUGE impact in this city he loved so much and helped so many people in this community. He can never be replaced; I just hope he is also never forgotten. RIP dear friend. Left to Right: At 2015 Inclusion Fusion, Jody Fang, Al Sugiyama, and Michael Liam hang outside the 'Mystery Room'. 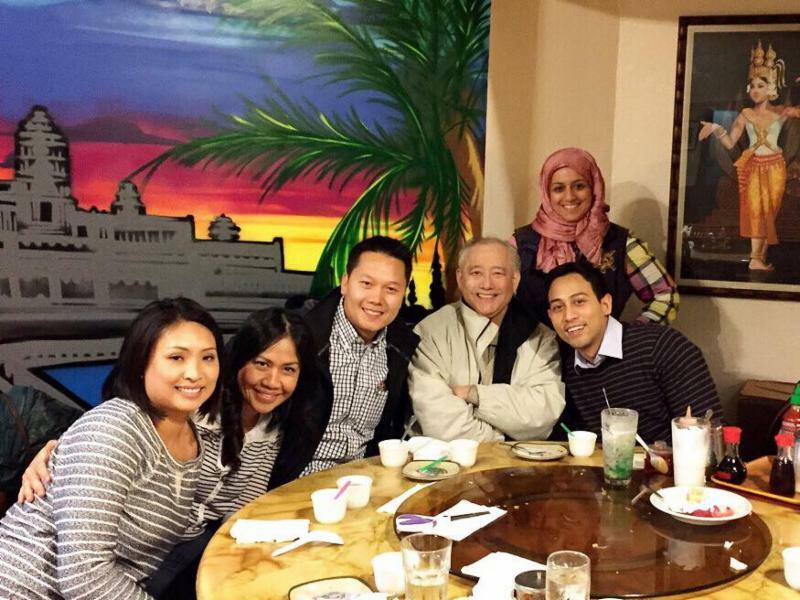 Left to Right: Tep Nishimura, Esla Inthaxai, Tri Do, Al Sugiyama, Aisha Al-Khinji, and Kyle Theptee have a Class of 2014 reunion. Left to Right: Kyle Theptee, Marci Nakano, Joe Darza, Al Sugiyama, John Liu, Jody Fang, and Juan Morales celebrate the success of 2016 API Heritage Month Celebration. Left to Right: Lilly Yamamura, Peter Yamamura, Al Sugiyama, Kathy Yamamura, and Brandon Yamamura pose for a photo. 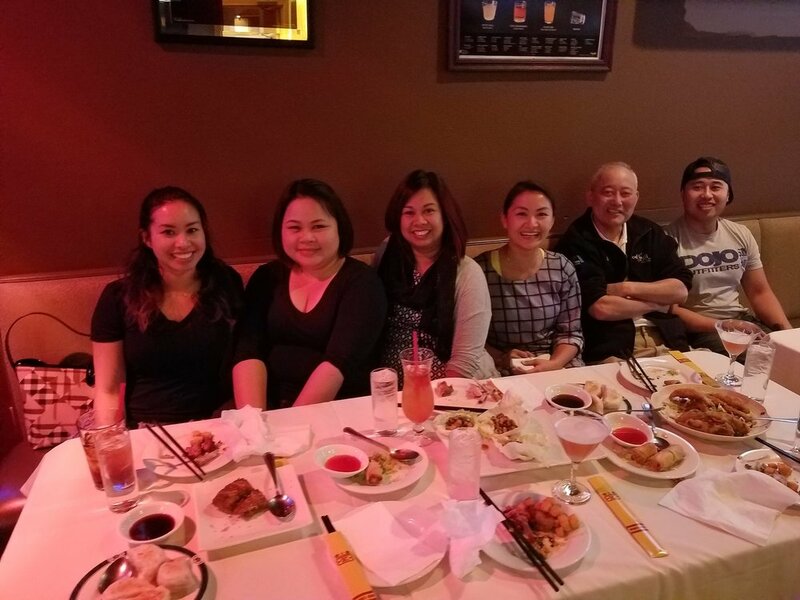 Left to Right: Mellissa Nguon, Ratta Nehmer, Melinda Pizarro, Linda Ngov, Al Sugiyama, and Kelly Sisomphou meet for the first time at Al's Portland Alumni Happy Hour last year. Left to Right: Doreen Ramsuta, Alpana Ranade, Al Sugiyama, and Lu Yue attend an ACRS event together. There are so many amazing things to say about Al, it's hard to find the right words to say when commemorating such a humble, dedicated, passionate leader and dear friend in our community. Al always had a smile on his face that brightened the whole room, he made sure everyone felt welcomed, and embraced complete strangers with love and compassion. In every interaction and conversation, he made you feel special, and provided words of support and encouragement, even when you didn't know you needed them. Al was a hero to me and so many others. His bravery and courage in the darkest of days was not only impressive and admirable, but taught us all that there's always a reason to fight and to keep going. He will be deeply missed and dearly loved, and remembered for his impact, his strength, and his innate ability to influence change in our community. You were and always will be an inspiration to us all. Our thoughts and prayers go out to you & your family during this difficult time. We love you Al and will definitely miss you. I'm honored to have met him. Condolences to his family. Al was one of the most caring, young-spirited man I ever met. He always offered a helping hand. There were a few times Al and I went out for lunch to chat, connect better and discuss current and future ideas/plans for helping grow EDI and our communities, even after he stepped out of his role from EDI. I'll never forget his kind heart and sense of humor. He was always on a mission to help others, no matter what it would be, connecting one person to another within his large network of friends, building lasting relationships- not only in business but a true friendship as well and let's not forget, his strength throughout his lifetime and especially through battling cancer. I am thankful and blessed to have been friends with such an inspiring leader. 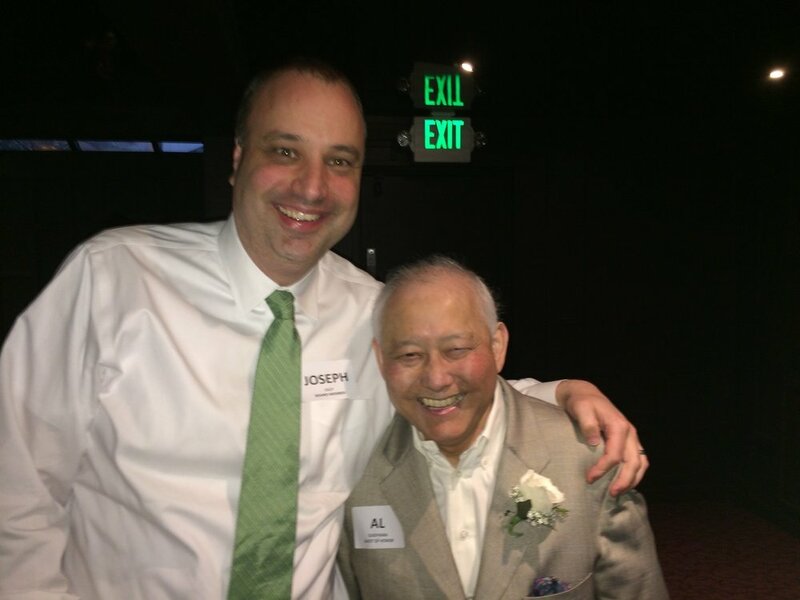 Thank you for all that you have done Alan Sugiyama! We love and miss you! Al has always been a wonderful mentor and friend. He was always proud of our achievements and he reminded us about giving back to our community through his words, actions and dedication to EDI. I think his legacy lives through every single one of us that has been through EDI. My thoughts are with Al and his family, he is indeed a great man and I pray for peace and comfort for his families during this hard time. He really helped us with bringing us career opportunities to meet and greet influential people in the Puget Sound area. I thank him for that. I have attached a picture (see above) of Doreen, Alpana and me with Al in an auction event two, three years ago. It was a great time. Al, yes you will be missed, but your spirit of community service lives on! It was an honor to be in your presence. Thank you Al for all that you've done. I'm so glad that I had the honor to be in your EDI class. So sad to hear, but feeling blessed to have known such an amazing leader and mentor. Al, you will be missed! I remembered Al by his charisma and ability to lift a room when he enters. He definitely will be missed. Rest in peace. Thank you Alan for being a leader, an advocate and an inspiration. I feel so honored that I got to know you and learn from you over the last couple of years. You've left behind a legacy and some big shoes to fill. Thank you for all that you've done, we'll do our best to continue your mission. To Al - Thank you so much for your leadership and wise words that you gave! It was my pleasure to know you in the past 4 years. Amid his personal difficulties and challenges, Al always remained steadfast and positive. I was once making fun of him for using so many emoji icons in his e-mail. Al taught me many impactful lessons about life, personal development and other things. He was a great mentor. This is sad news and a great loss for the API community in Washington and Oregon. Rest in Peace Al. Al was most significant to me because he saw in me an "Asian sister" with incredible potential. As a bi-racial Vietnamese American, my entire life, concerning my racial identity, I have been viewed as ambiguous through the lenses of others; "you don't look Vietnamese" has been said to me ad nauseam. Whereas with Al, my racial identity was never once questioned or seen as "watered down"; in contrast, Al was a constant voice and reminder of my responsibility to the greater community. Al was fervent that I should never deny or forget where I came from, nor the great sacrifices my mother (a Vietnamese immigrant and single mom) made so that I could have the opportunities I have and be where I am today. The above notwithstanding, Al was most outspoken about how it is now my turn to help the next generation - a commitment he not only had to the greater community, but that he would impress upon me and those like me to be held to the same, if not higher standards. Once he came to know that my mother owned the first Vietnamese restaurant in Seattle, Al exclaimed, "I used to take friends there to be cool, because there was no other food like it around at that time." Following this revelation, Al came to my home, reconnected with my mom and bonded around the restaurant and how the times have changed, and pretty much cemented himself as part of my family, and an even bigger part of my heart.In 2014, Al encouraged me to sign up for EDI, while also helping to link me to a scholarship to help pay for the training. 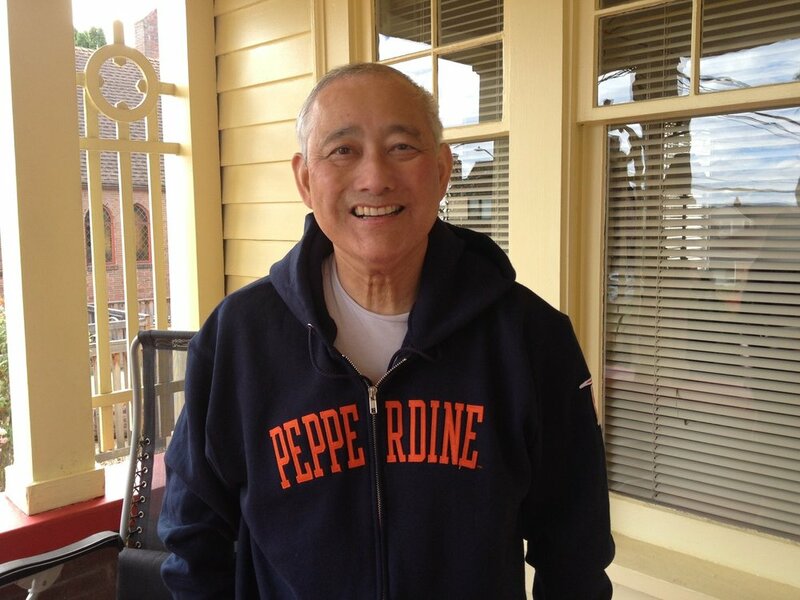 Inspired by my learning and growth at EDI, I decided to pursue doctoral studies at Pepperdine University. Al wrote for me a letter of recommendation, which I credit to this day as an essential part of my acceptance to the program. Al was both a mentor and friend; I feel so fortunate to have known him. Always full of energy, Al lit up any room with his presence and inspired others to come out of their shell and make a difference. He was a great teacher, sharing his experiences and wisdom and offering to help in any way he can. Despite his busy schedule and having to manage medical appointments, he always made time to connect and see if there was anything he could do for me. I will always remember Al and his generosity and the work he has done for the community. Thank you, Al, you will be missed. Al was truly unique and one of a kind. I have never met an individual with so much positive energy and the desire to help and connect people and the community. I am thankful to have had the opportunity to meet Al. A phrase that I often heard Al say within the EDI Family was “Who’s in the house – Who’s in the house? Al’s in the house!” As I reflect back on this quote in 2017, Al was definitely in the house because he’s had a positive impact on my life. Al – I know you’re smiling and shinning above. May you rest in peace my friend. It is a huge loss to the community. Just wanted to express my gratitude and thanks for everything that Alan did for all of us EDI alumni. He broke down barriers in his own life and generously gave back to the community by providing us opportunities for leadership development and mentorship. I will remember his high energy and indomitable spirit and courage in the face of hardship; he was a role model in every sense of the word. I knew Al before he became the Executive Director for the EDI program. Al and his brother used to come to our family business in the International District and watch movies at the Kokusai Theatre. It made me laugh when Al would introduce young future leaders or past/current EDI people to me. He would always proudly say, "Elaine’s family used to own the Kokusai Theatre…and I watched Japanese movies all the time. And Elaine is also an EDI graduate. You two should meet and talk." He was so proud of our Japanese heritage, the International District, the young people who he knew and the ones that he wanted to help inspire. Al was always positive, go-do-it, and a team player. My fondest memories of him was when I attended EDI events and Al would personally come by each table and shake hands with each attendee to personally thank them for their support and attendance. He was always wanting to inspire our future API leaders by making sure they got to meet people in our API community who could help them with their experience or networking circle. He will be missed enormously. Such an honor to get to know this great man! Rest In Peace, Al. We will miss you! Thank you Al for inspiring a generation of current and future leaders. Your impact will live on. Al had the biggest heart, full of passion and excitement for what he believed in. I will always remember his smile and laugh. He will truly be missed. My thoughts and prayers to his family and loved ones. Rarely do I encounter people who exude joy, kindness and generosity, for reasons you can't understand, because they just are. Al was like that for me. I felt joy around him because he was full of it. I felt generous because he exuded that warmth. What a loss for all of us. While sad he is gone, I still feel a joy in my heart because I can sense he is smiling at us from above, maybe even laughing the way he does. I will always remember Al’s laid back attitude. It was so relaxed you just felt drawn to carry a good long conversation with him. He always had a big smile on and wanted to know how each and every person was doing. A down to earth good guy. You will be missed Al! We love you! I'm honored to have known Al and he had inspired me to be a better person. My heart goes out to his family. The first time I saw Al, I saw a man with the biggest and most genuine smile. It was hard to believe that his greeting was even bigger and warmer that his smile. Wow, he made me feel very special at that first greeting. What struck me that day was that my experience in the Asian community was typically a more reserved type greeting. When we learned in EDI that to be successful, you have to sometimes adapt to this style that Al presented. Throughout the EDI course it was clear to me that Al not only had worked at adjusting his style to be successful, but that he had mastered it. Al’s outgoing style was still genuine, even though it was probably not how he was raised. You could tell that Al was a true gentleman and wonderful human being. Al’s perpetual smile, laughter, kindness and generosity have made a positive and ever-lasting mark on me. He still lives in our hearts and minds. A heartfelt thank you goes out to his family for sharing such a great person with the EDI family. I feel honored to have gotten the opportunity to get connected with Al and his passion for leadership and growing future leaders in our community. He leaves behind a lasting legacy. Saddened by the loss of such a dedicated leader. His passion for unifying the community and his work to give back was unparalleled. Greatest condolences to his family. He was an amazing man!! And will be missed my so many. Thank you Al for all you did, you were a man with a great legacy. Thank you Al, for pushing me and many others out of our comfort zones. Thank you for providing avenues for us to learn about Seattle history that's rarely ever told. It is now our responsibility to grab the baton and continue your work in our communities. Al, you were one of the best men I've known. I appreciate all that you've done for so many people. What I appreciate about Al is that he always showed that he believed in people unconditionally. He taught me to believe that I can do anything that I want, and on my own terms. Al’s gift was that he reminded people that they are gifted in their own way. The reason why his spirit was so alive and that he had such a meaningful influence on so many people is because they didn’t just tell people they were special; he taught us skills that gave us the insight to realize our potential. Because of these reasons and so much more, whenever I advance in my career or personal life I will always remember that his influence helped make me become the person that I am. Prior to starting EDI, I had not heard of Alan Sugiyama. This may come as a surprise, considering his well-known contributions to the community, but I was a recent transit to Washington. During my entry into EDI, Al was already battling with cancer and I was not fortunate enough to get to know Al on a deep, personal level. However, one did not need a lot of time to see what a great figure he was to the community, EDI and each individual he spoke to. It did not take long to see the impact he made, whether it was reading about him in publications, hearing his name or just his mere presence in a room. Al always displayed his strength, motivation and encouragement. One may not even know he was battling cancer as he always showed grit, positivity, smile and laughter. Every time Al walks into a room, his strong, powerful and positive aura spreads like a domino effect. We can just simply look at the imprint on anything he’s come across: buildings, communities, people, future. Alan Sugiyma is a genuine hero. 1. You might put career on the line base on what you believe. 2. The people will recognized as how you truly are. 3. Your people will follow you to hell and back. In September 2016, I met Al at an EDI reunion dinner after the Portland session, where he hosted a dinner for EDI Committee Chairs, EDI Graduates, and current EDI participants. I was actually from the Puget Sound program, but everything happens for a reason because I had the once-in-a-lifetime opportunity to meet Al. When Al entered the room, you could feel his vibrant presence; and if you didn't know him, you just knew he was a very important guy. We introduced ourselves the EDI way (including our name, generation, ethnicity, employer, job title, and EDI class year), and you could see that Al enjoyed getting to know each one of us in the room. His strength, resilience, and positivity through his final years of battling cancer are truly admirable. I only wish that I was able to be invited to one of his infamous networking dinners that he hosted at his house before his passing. Even though I didn't have a chance to get to know Al on a personal level, his work through the EDI program has made long lasting impacts on me. Thank you, Al, for everything you've done for the Seattle community and beyond. May you rest in peace. This is very sad. Al was extremely inspiring and his ability to draw in audience was inimitable. Will miss him!